Dr Ken Perrott trained as a chemist and his research background is in surface chemistry, soil science and fertiliser chemistry. After working in the DSIR (Chemistry Division and Soil Bureau), MAF, MAFTech and AgResearch he is now retired. Ken enjoys discussion of the wider social and philosophical issue surrounding science. Unfortunately these issues are often misrepresented in our society and he believe scientists have a responsibility to counter unscientific thinking and movements. This is one of the reasons Ken got into blogging, starting up Open Parachute in the middle of 2007. 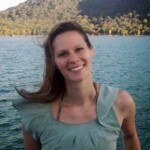 Kimberley is a science communicator with a background in ecology and conservation. 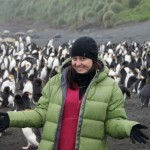 Her lifelong passion for wildlife has taken her around New Zealand, to Antarctica, the SubAntarctic Islands and other offshore sanctuaries. Her original career in conservation biology was diverted when a stint working in public programmes at Waikato Museum persuaded Kimberley that communicating science was what she wanted to do. She completed a Masters in Science Communication at Otago University, researching how scientists use social media to communicate. 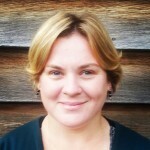 Since completing her studies, Kimberley has worked with a range of conservation organisations as a communicator. She spent a year working at ZEALANDIA in Wellington and most recently at Forest & Bird as their online communications coordinator. In her spare time, Kimberley runs an outreach programme called Pop Up Science, which takes science beyond the walls of institutions by popping up with exhibits for children to engage with. 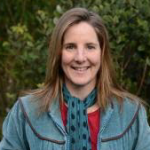 Marie is the Senior Policy Analyst for the Environmental Defence Society, a long-running Auckland-based NGO, and lead author of Vanishing Nature: facing New Zealand’s biodiversity crisis. Her research interests include ecology and conservation, compliance and enforcement of environmental law and environmental policy.